Happy Wednesday! I know, I know, I'm late getting my post up but at least I'm here, right? That's gotta count for something! 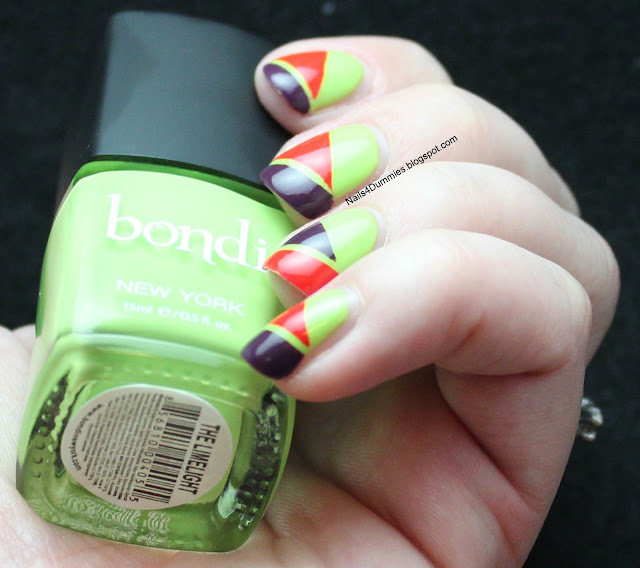 I was so excited when I finally got my email from Bondi New York that they had one of their brand-spankin' new polishes for me to try out and review for you! 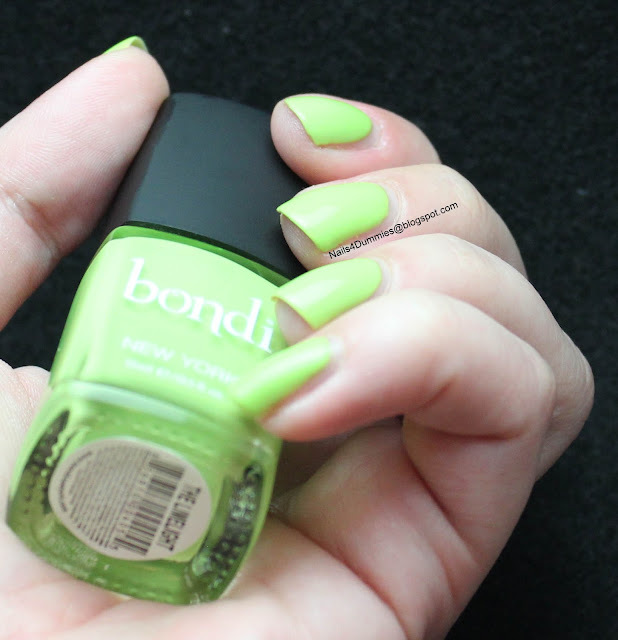 It was really tough choosing a color as they have some really lovely Spring colors available but I finally went with this little beauty called In The Limelight. Let me just say that their shipping was SUPER fast! I got my polish 2 days after placing the order - WHAAAAT? Sweet! I must say that this polish has a very interesting consistency. At first coat it seemed a little finicky but by the second coat it had evened out really well. It's not completely self-leveling so you do have to pay attention to what you're doing but it's not bad at all. When it dried it had the coolest texture, almost rubbery and reminded me of the Illmasqua Rubber Brights line. Bondi is a 5-free polish and the cost is $15 for a 15 ml bottle. I know that a lot of people will find that price point to be too high and to be honest, I don't know that I would be willing to pay that unless I found a shade that I couldn't live without. 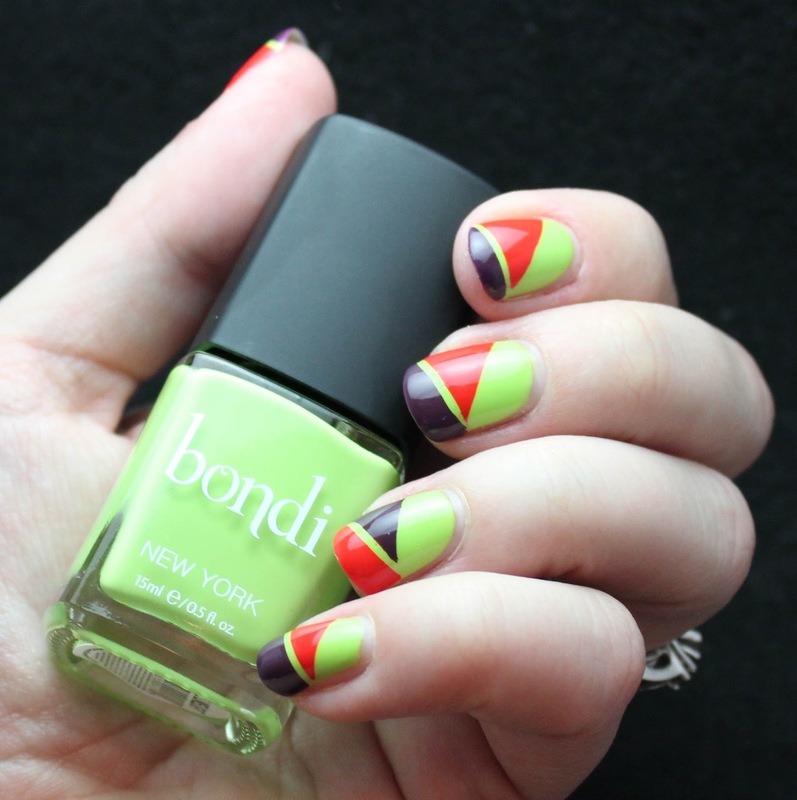 I think the colors are amazing for Spring and it was pretty easy to work with. I do, however have one complaint...the lid! These bottles are short and square and it made the brush a little unwieldy and uncomfortable. EDIT!!! The awesome folks at Bondi New York saw one of my tweets about the cap being uncomfortable to work with and tweeted back that it's removable. I checked my bottle and sure enough, I'm an idiot!! It's just an overcap and the cap underneath is a lot like the Butter London caps! 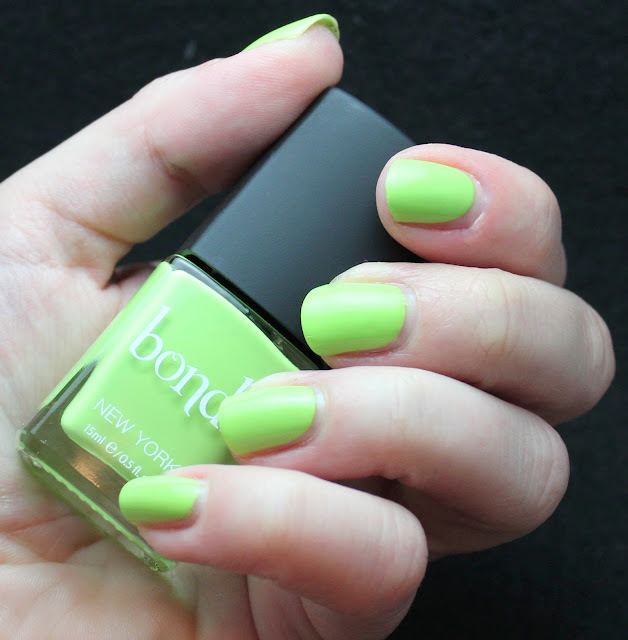 Score one for Bondi - you guys rock! And because I couldn't just leave it alone, I threw a tape mani on top of it! The colors I put on top came out a little weird but I think it looks cool anyhow! The color that looks reddish/orange is actually a hot pink from Finger Paints that has never had a label on it and the purple is Prosperity from Illmasqua which is a vibrant bright purple and ended up looking a little eggplant here! So what do you think? Will you be checking out some Bondi polish? This is such a fun green!!!! Love the colors you added to it as well! 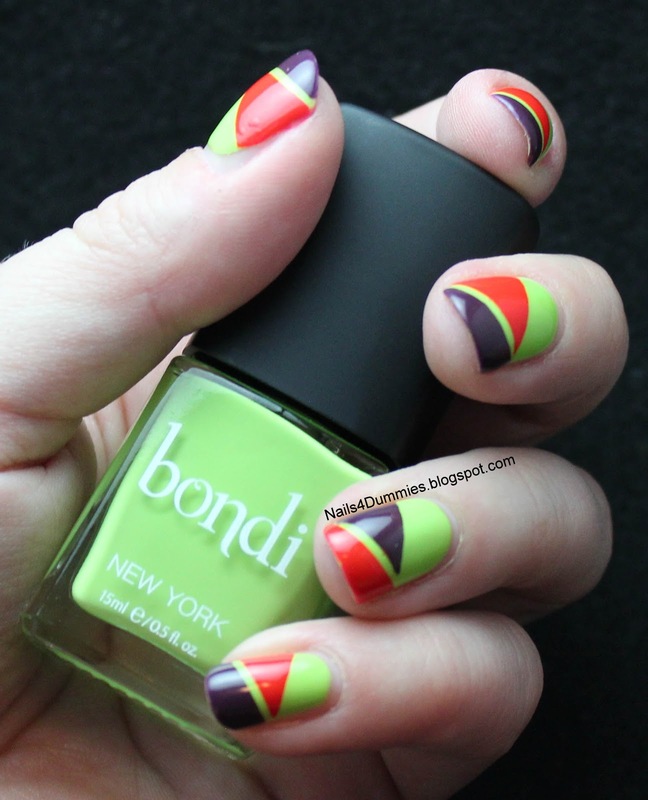 Such cute green, and I love the nail art you did to it! ooooh! im loving the taped bits!! !